Some readers may be interested in this Virgin Australia 'Stat bite' post looking at Virgin Australia International flights today. Excluding the PER-HKT-PER sectors today was the first day in a while that domestic or ex ZK aircraft haven't featured somewhere on the Bali/Trans Tasman/Pacific Island sectors. Observed from 6 a.m. until 6 a.m. the next morning, Nyepi is a day reserved for self-reflection, and as such, anything that might interfere with that purpose is restricted. The main restrictions are no lighting fires (and lights must be kept low); no working; no entertainment or pleasure; no traveling; and, for some, no talking or eating at all. The effect of these prohibitions is that Bali's usually bustling streets and roads are empty, there is little or no noise from TVs and radios, and few signs of activity are seen even inside homes. The only people to be seen outdoors are the Pecalang, traditional security men who patrol the streets to ensure the prohibitions are being followed. Although Nyepi is primarily a Hindu holiday, non-Hindu residents of Bali observe the day of silence as well, out of respect for their fellow citizens. Even tourists are not exempt; although free to do as they wish inside their hotels, no one is allowed onto the beaches or streets, and the only airport in Bali remains closed for the entire day. The only exceptions granted are for emergency vehicles carrying those with life-threatening conditions and women about to give birth. The final first flight happened today with VH-VUQ ex ZK-PBL operating this morning, Wednesday 18-March-2015, VA308 BNE-MEL. This brings to the end the transition of the former VA(NZ) fleet back into VA International. All have seen domestic Australian service however just VH-VOR and VH-VUB have graced New Zealand/South Pacific skies again, with VH-VOO & VH-VOP operating only on international services to Bali. Meanwhile as noted in THIS post - VH-YID now wearing full Virgin Samoa colours has hopped around the network operating Trans-Tasman, to Fiji, domestically in Australia, on FIFO flights in WA and to Denpasar from Perth. The first two and a half months have seen quite a few changes to the New Zealand & Australian aircraft registers in terms of passenger aircraft. Here is a look at some other the comings and goings. As per my previous posts between 30-January-2015 and 14-March-2015 Virgin Australia returned their fleet of 10 Boeing 737-8FE aircraft to the Australian register - see HERE for more. 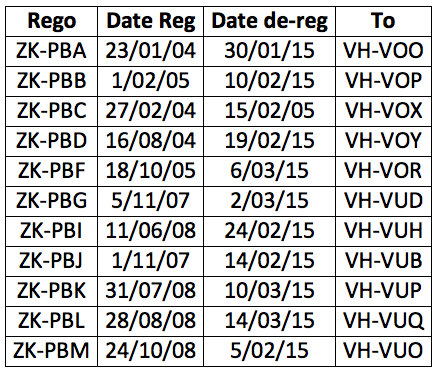 As mentioned in THIS post last year, Vincent Aviation unfortunately went into receivership in October-2014. Their fleet has begun to move on. ZK-ECO BAe 146 re-registered to ANCL Investments Ltd 12-March-15 but took effect on 5-October-2014 - despite leaving the country this aircraft remains on the New Zealand register. This leaves just Jetstream 32 ZK-VAI as the remaining passenger aircraft owned by Vincent Aviation on the New Zealand register. Qantas saw 3 of their previously departed aircraft leave the Australian register during the period, all three were exported to the USA where they will be prepared for their new owners. 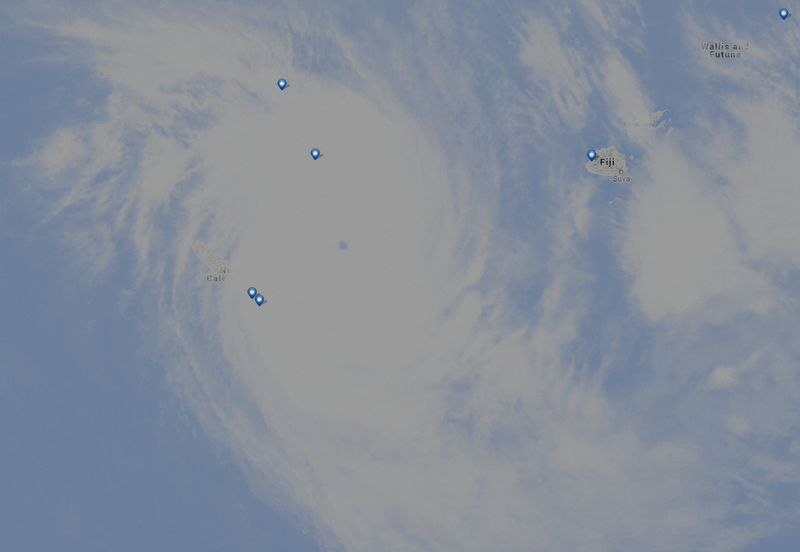 There are disruptions to flights across the South Pacific today with tropical cyclone Pam effecting flights into New Caledonia and Vanuatu. Air New Zealand has postponed flight NZ782 AKL-NOU for over 32hrs, the flight was scheduled to depart Auckland this morning Saturday 14-March-2015 at 10.05NZDT but will now depart tomorrow Sunday 15-March-2015 at 18:15NZDT. It is not yet know if flight NZ788 AKL-VLI scheduled for 09:40NZDT tomorrow will be delayed or cancelled as the cyclone tracks south. 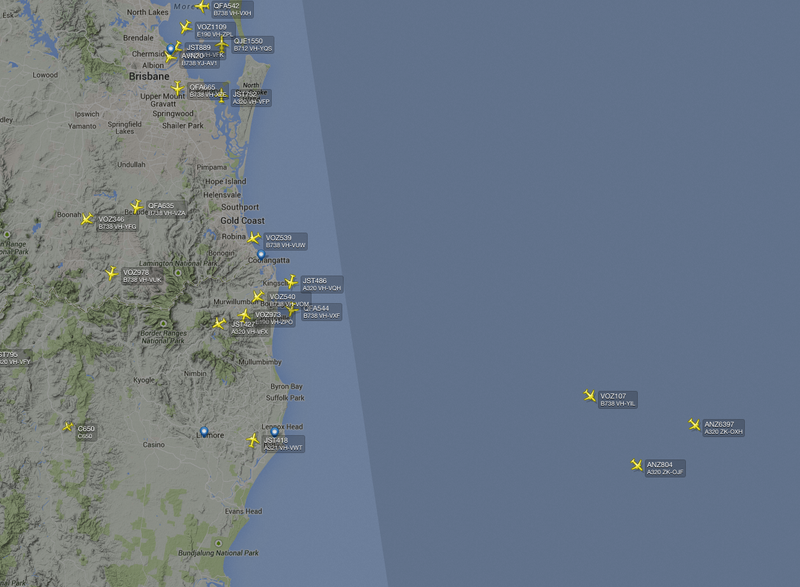 Virgin Australia have postponed flight VA171 BNE-VLI from 10:30AEST today to 10:40AEST tomorrow. Qantas have postponed flight QF87 BNE-NOU from 10:00AEST today until 09:30AEST tomorrow, meanwhile QF91 SYD-NOU has been cancelled. Boeing 737-8FE ZK-PBK flew her final flights as VA171/170 BNE-VLI-BNE on Monday 09-March-2015 before entering the Virgin Australia hanger. She was struck from the New Zealand register today Tuesday 10-March-2015 and will enter the Australian register as VH-VUP. 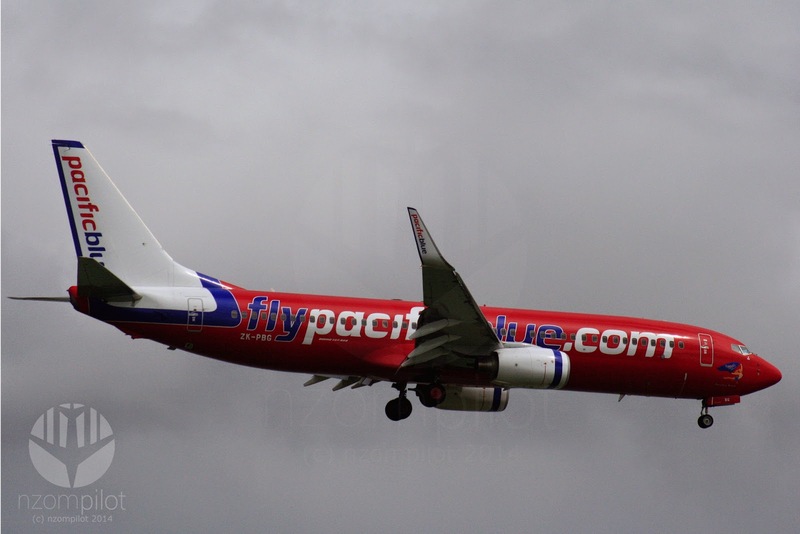 VH-YID flew from Brisbane to Townsville on Tuesday 03-March-2015 as VA9939 where she entered the paint hanger and was given the Virgin Samoa titles and Tupu'itea name. Unlike PBF she does not sport the tribal colour band on the engines. She returned to Brisbane as VA9938 on Sunday 08-March-2015 and at time of writing has not flown since. Thursday 05-March-2015 saw Virgin Samoa branded Boeing 737-8FE ZK-PBF operate her final flight on the New Zealand register flying VA161 AKL-BNE. Upon completion she was towed across the airport and entered the Virgin Australia hanger for business class upgrade and entry to the Australian register. She will take up VH-VOR.